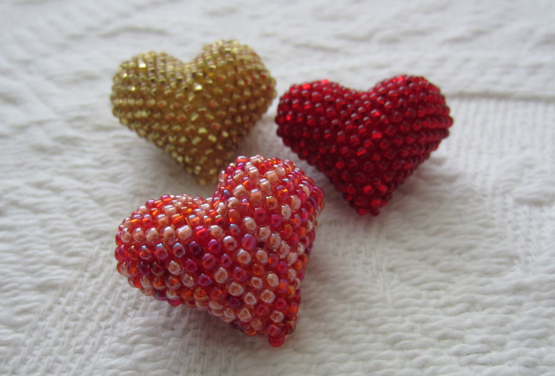 Handmade and fairly traded, beaded heart pin. Measures 1.25". Available in Gold, Red or Pink. Please select color.